NEW YORK - A raging wildfire in Central California that has forced thousands from their homes spread rapidly on Thursday, threatening a town outside Yosemite National Park, fire officials said. The so-called Detwiler Fire, which is menacing Mariposa and other communities in the Sierra Nevada foothills, is only 10 percent contained, the California Department of Forestry and Fire Protection, or Cal Fire, said on its website. More than 3,000 firefighters battled that fire that has advanced over 70,096 acres (28,366 hectares), Cal Fire said, an increase of more than 22,000 acres since early Thursday morning. The Detwiler Fire was threatening some 1,500 structures and power lines supplying electricity to Yosemite National Park, according to Cal Fire. The park remained open to visitors on Thursday. 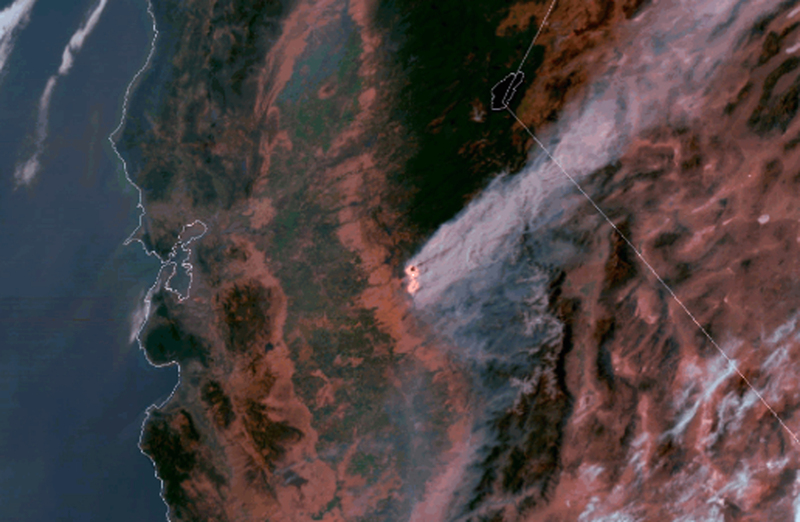 Mariposa is 50 miles from Yosemite National Park, Cal Fire spokeswoman Shanelle Saunders said, adding that the biggest concern with the park right now was air quality due to heavy smoke. Mariposa’s 2,000 residents were told to leave town on Tuesday after its power and water links were damaged. Nearly 5,000 people have been ordered to leave their homes, officials said. Gov. Jerry Brown declared a state of emergency for Mariposa County on Tuesday. The town’s hospital and its 14 patients were not evacuated, the facility’s interim Chief Executive Matthew Matthiessen said. Low humidity overnight allowed the fire to quickly consume drought-stricken dense areas of shrubs and small trees, Cal Fire said. The cause of the fire is under investigation. The small communities of Coulterville and Greeley Hill were evacuated on Wednesday. The Detwiler Fire was among 37 large fires across 12 western states as of Wednesday, according to the National Interagency Fire Center’s website. 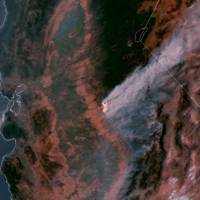 The last big wildfire to affect Yosemite National Park was the Rim Fire in August 2013, which became the third-largest wildfire in California’s history at the time. The 257,314 acre (104,131 hectares) Rim Fire scorched parts of the park and surrounding areas for nearly three months before being contained.